Chivas Regal owner Pernod Ricard will provide nutritional information on all of its spirits products, including Scotch whisky, via QR codes to be printed on all bottles from this year onwards. The Paris-based company, which also owns Scotch brands The Glenlivet and Ballantine’s, is in the process of printing QR codes on its labels, which will be introduced on a market-by-market basis, with some bottles already available in China. The codes should be available in most major markets ‘in the coming year’. As well as nutritional information, customers will also be able to access details about brand provenance and heritage through the digital codes. Pernod Ricard already uses QR codes to try to combat counterfeiting in certain countries, such as China, by enabling customers to access more information online about the bottle they are purchasing. Speaking in London this morning (14 February), Alexandre Ricard, CEO of Pernod Ricard, said: ‘In terms of nutritional content, consumers will be able to scan a QR code that will send them to a website where they have all the detailed information about all our brands. 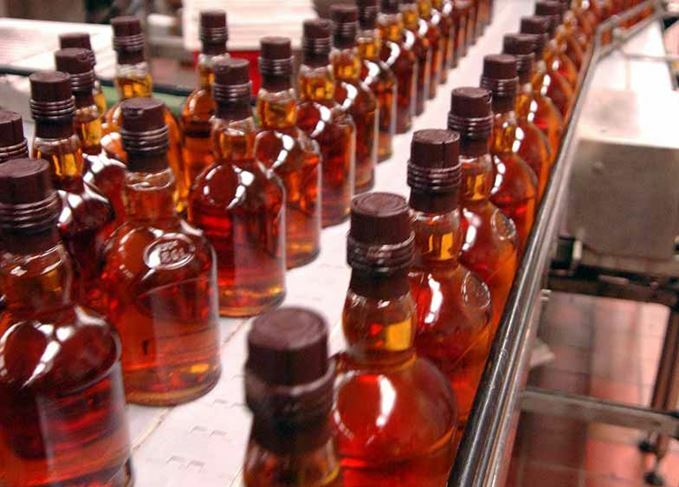 However, unlike Johnnie Walker owner Diageo’s move to print nutritional information on its Canadian whisky brand Crown Royal in 2015, Ricard said the firm will not be following a similar strategy by printing nutritional values directly onto bottles in order to offer a more ‘detailed, enriched’ overview of each product. He added: ‘This is just my point of view, but [printing nutritional information directly onto labels] is probably not the perfect way to do it because you already have a lot of legalistic information on there. ‘For those who don’t have perfect eyesight, it’s not easy to see the back of the bottle, versus on the website where you have detailed information written in proper English that’s understandable: subject, verb etc. The Scotch whisky brand will become the first to print nutritional information on its label.